If a new Mac has recently arrived in your life it may be time to hand your old Mac down to a friend or family member, pass it on to a coworker, or send it back to Apple for recycling. Here’s what to do. Before anything else make a backup just in case. Do this even if you’ve already migrated your data to your new Mac since it’s possible that data could have been corrupted during the transfer without you realizing. At a minimum, update your old Mac’s Time Machine backup by clicking the Time Machine icon in the menu bar and choosing Back Up Now. 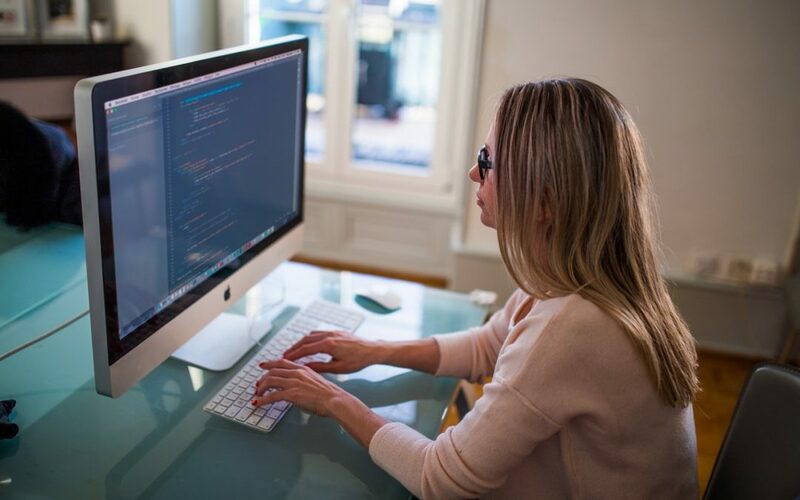 For extra safety, consider using an app like Carbon Copy Cloner or SuperDuper to make a bootable duplicate that will be easier to navigate if you need to recover a file. It’s uncommon for apps to have licensing schemes that are tied to your Mac’s hardware these days but if you have any such as those from Adobe be sure to deauthorize or deactivate them. However, there is one app that most people will need to deauthorize: iTunes. That’s because Apple allows you to play content purchased from iTunes only on up to five computers associated with your Apple ID so be sure to deauthorize Macs that you won’t use again before passing them on. To do this open iTunes and choose Account > Authorizations > Deauthorize This Computer. Enter your Apple ID credentials when prompted. If you’ve forgotten to do this you can deauthorize all your computers once per year (and then add back those you still have). To do this in iTunes, choose Account > View My Account and in the Apple ID Summary next to Computer Authorizations click Deauthorize All. To do this open System Preferences > iCloud and click the Sign Out button. 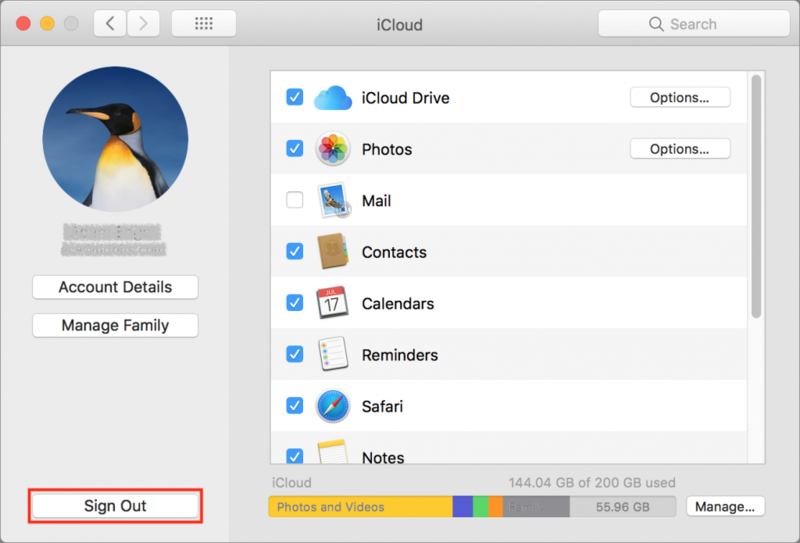 If you’ve been syncing via iCloud Drive, Calendar, Contacts, Reminders and so on the Mac will ask if you want to keep the data on the Mac or delete it. Don’t bother deleting it since you’ll erase the Mac’s drive in a future step. If you’re giving your Mac to another user along with its Bluetooth devices such as a wireless keyboard and trackpad you don’t need to do anything with them. However, if you plan to hang on to your Bluetooth devices and use them with another Mac you should unpair them. That’s especially true if someone else in your home or office will be using the old Mac since the device might end up working on multiple Macs which could cause confusion. Before you unpair a wireless keyboard and mouse or trackpad, however, make sure you have a wired keyboard and pointing device available since you won’t be able to erase the drive and reinstall macOS without them. If you lack wired alternatives don’t unpair your keyboard and pointing device. 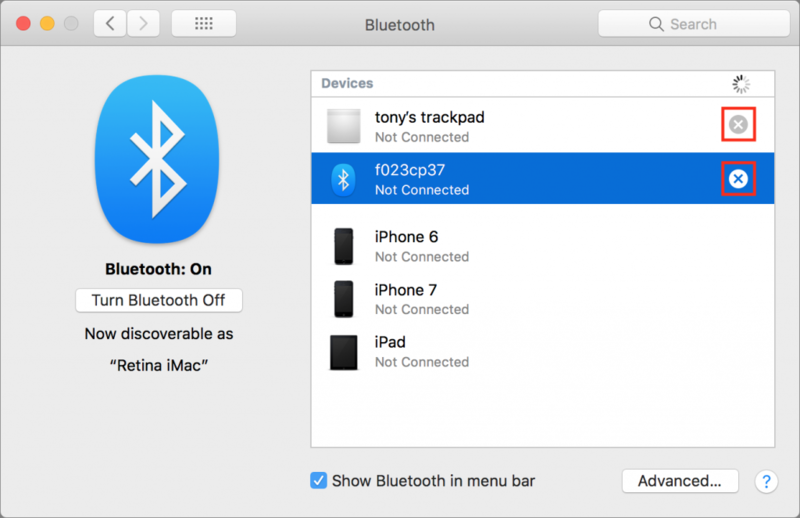 To unpair Bluetooth devices, open System Preferences > Bluetooth and in the list of devices either hover over a device or select it. Then click the X button to the right. When prompted click Remove. First, start up from macOS Recovery by holding down Command-R while the Mac boots. 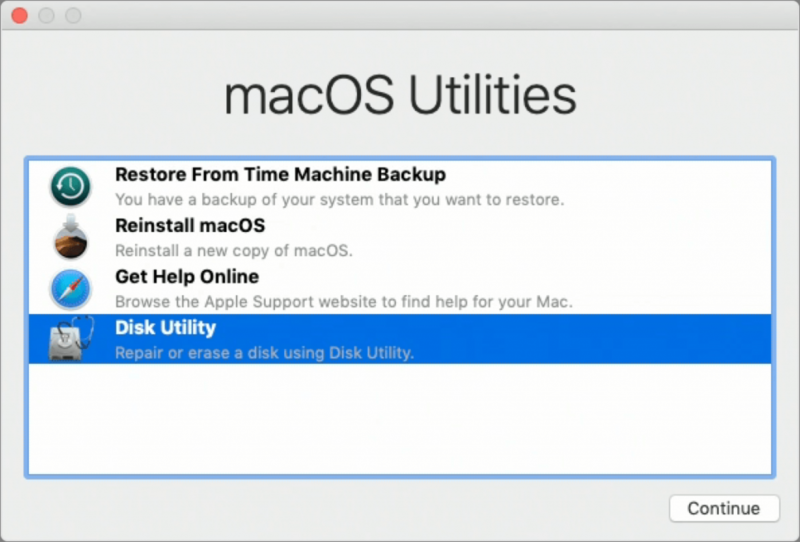 In the macOS Utilities window that appears select Disk Utility and click Continue. 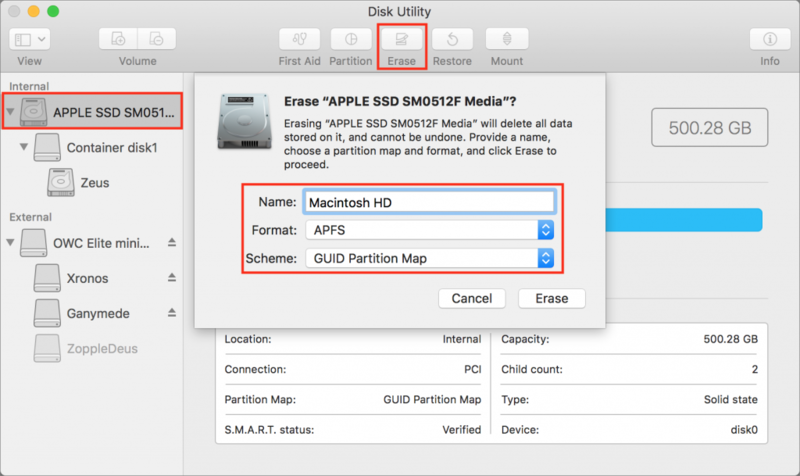 In Disk Utility, select the internal drive, click Erase in the toolbar, and in the dialog that appears enter a new name, choose a format and choose GUID Partition Map for the scheme. 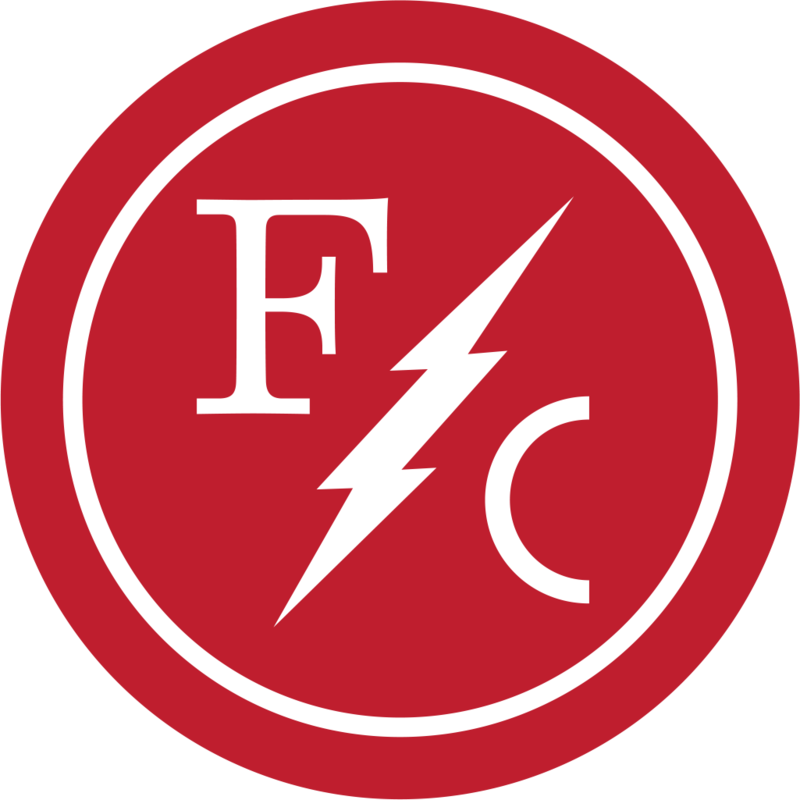 For the format stick with the default since the macOS installer will convert it later if necessary. Quit Disk Utility when you’re done. Once the drive is erased you’ll be returned to the macOS Utilities window where you can select Reinstall macOS (or Reinstall OS X, if it’s an older Mac) and click Continue. Obviously, if you’re sending it back to Apple for recycling there’s no reason to do this. The installation process takes time and when it’s done the Mac will restart into the setup assistant. Press Command-Q at the Welcome screen to shut down. When the new user starts the Mac up again they’ll be able to continue with the setup process. That’s it—now you’re ready to give the Mac to its next user.